Is Non-Medical Home Care Right for You? Determining the appropriate time for home care can be challenging. Many seniors balk at the idea of a stranger coming into their home to provide assistance with daily living, especially if they feel the care is unwarranted. Making the decision to employ an in-home caregiver should be made after careful consideration of the individual’s physical and mental capabilities and whether or not it is safe for them to continue living alone. 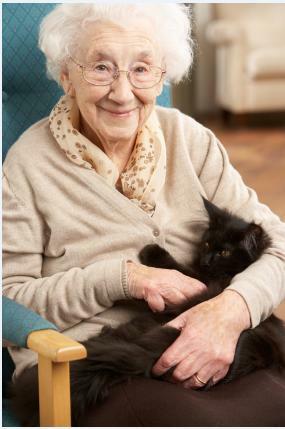 Typically, home care is appropriate whenever a person prefers to stay at home but needs ongoing care that cannot easily or effectively be provided exclusively by family and friends. Today, more than 90 percent of seniors elect to live independent, non-institutionalized lives and prefer home care over any other setting. With the help of innovative homecare systems and homecare software, such as provided by ClearCare Online, an increasing number of seniors are able to age in place at home. Since the development of sophisticated homecare systems and homecare software, more seniors and their families are enjoying the benefits of quality home care. But how do you know what criteria necessitates home care? Here are a few things to look for. Evaluate the person’s ability to care for his daily needs. Are nutritious meals being prepared regularly? Do you notice expired food items in the refrigerator or cupboards? Has the senior’s hygiene habits changed or worsened? Decreased mobility or deteriorating health may mean the individual is either unwilling or unable to care for himself properly. Review the individual’s financial situation. If a senior is neglecting to pay bills on time, he may be having trouble with more than just his finances. Regular reviews of bank balances and bills can give families a good indicator of how organized the senior really is. Seniors who have difficulty managing their finances often fail to keep other important aspects of their life in order. Assess the cleanliness of the home. As seniors age, it’s natural for certain household chores to become more difficult. Ceiling fans may collect more dust and windows may not always get squeaky clean. But if you’re constantly noticing piles of dirty laundry or a sink full of unwashed dishes, it may be time for additional assistance. Hiring an in-home caregiver will ease the burden from the shoulders of overwhelmed seniors and allow them to enjoy their golden years. Caregivers who use ClearCare Online’s helpful homecare software can set daily tasks that need to be completed during each shift, so nothing gets forgotten or overlooked. Consider the person’s physical and mental health. Does the senior in question seem easily confused? Do you notice a decrease in energy or other changes? When health concerns arise, it’s much better to address them immediately rather than wait until they worsen. Daily evaluation of symptoms by a caregiver can ward off serious complications or illness. Homecare systems like ClearCare Online allow caregivers to record their notes electronically, which will be accessible to agency administrators and other care team members. When the time comes to interview potential home care agencies, be sure to check out our post on “5 Questions to Ask When Hiring a Home Care Agency” for tips on what to look for. It’s important to find an agency that offers real-time visibility to patient point-of-care with reliable homecare systems or homecare software. This eliminates any ambiguity regarding what kind of daily assistance is needed, and reassures family members that their loved ones are being cared for properly. If you have additional questions about homecare systems or ClearCare Online’s homecare software, call one of our friendly representatives today and ask for a free demonstration!